Soft non-woven polypropylene fabric - fully breathable. Premium grade peva top. Easily see what's hanging in your wardrobe! 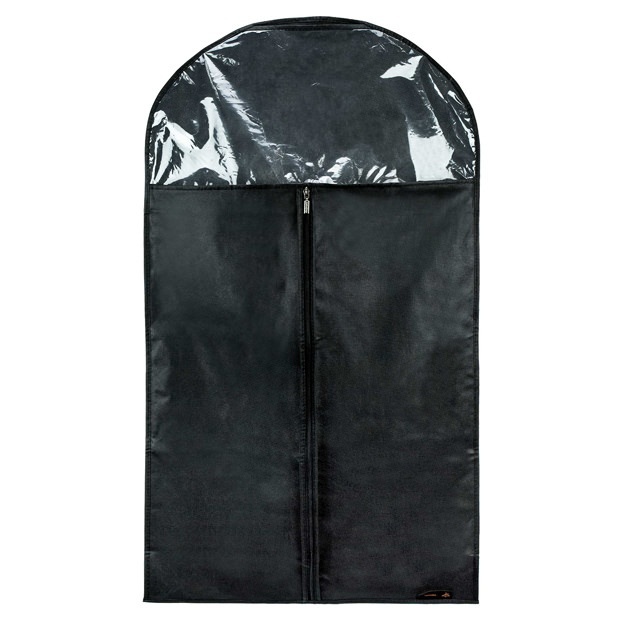 Ideal size for storing suits, jackets, trousers, shirts etc. Suitable for transport, display and long term storage. Three quarter length zip with stylish hangerworld zip pull. Size: Length x Width 42 x 24'' (106cm x 61cm) approx. Excellent product, strong material and metal zips, unlike inferior products with plastic zips I had previously purchased elsewhere at a similar price. Excellent value for money, highly recommended. Good service, fast delivery and good communication.